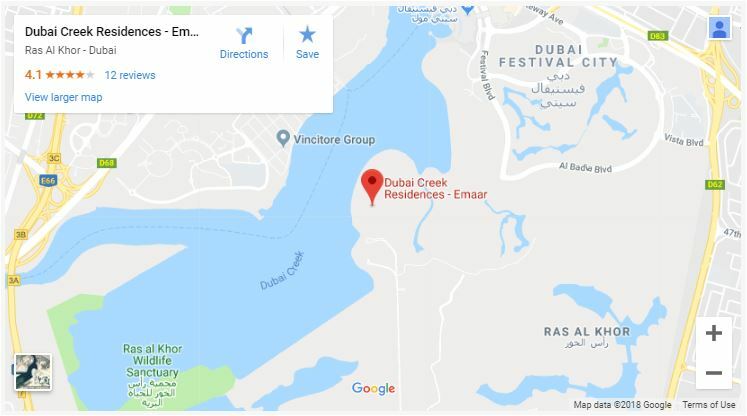 The Grand at Dubai Creek Harbour by Emaar Properties offers an array of chic amenities including a stylish rooftop lounge offering panoramic views of Burj Khalifa & Dubai Creek Tower. 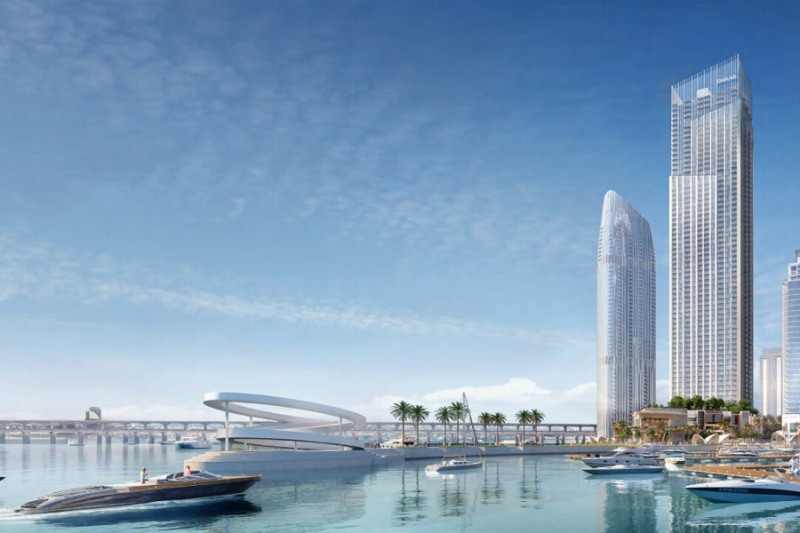 The Grand will perfectly embody the great ambition of Dubai Creek Harbour. Rising majestically from Creek Island, the 62-story skyscraper will set a new standard for ultramodern living. Envisioned as an ‘Urban Luxe’ retreat, the cutting-edge waterfront skyscraper is set only steps away from the flourishing marina and vibrant promenade, spoiling the residents with boundless dining, retail and entertainment experiences. The podium level of The Grand comprises of interconnected intimate, communal and active areas creating a welcoming social space. The carefully selected materials have been chosen for their aesthetic qualities as well as efficiency and durability, ensuring The Grand is energy-efficient and environmentally friendly. 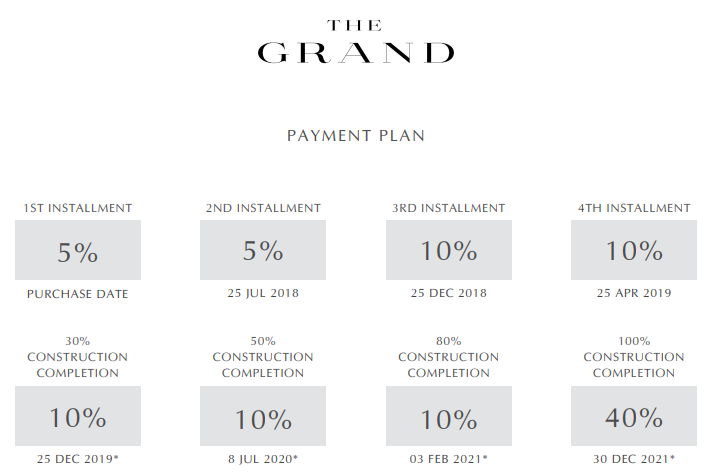 In addition to having the finest retail and dining outlets at their doorstep, residents of The Grand will have access to a glistening infinity pool with stunning views of the ever-evolving metropolis. They will also have access to cabanas, barbecue areas, children’s play areas and a gymnasium. Included among the broad range of sports and wellness amenities, will be an outdoor tennis court perched up against the 21st-century landscape. The Grand will feature a one-of-a-kind multi-purpose sports area – a space that can transform into several types of sports courts, including volleyball, badminton, and more. 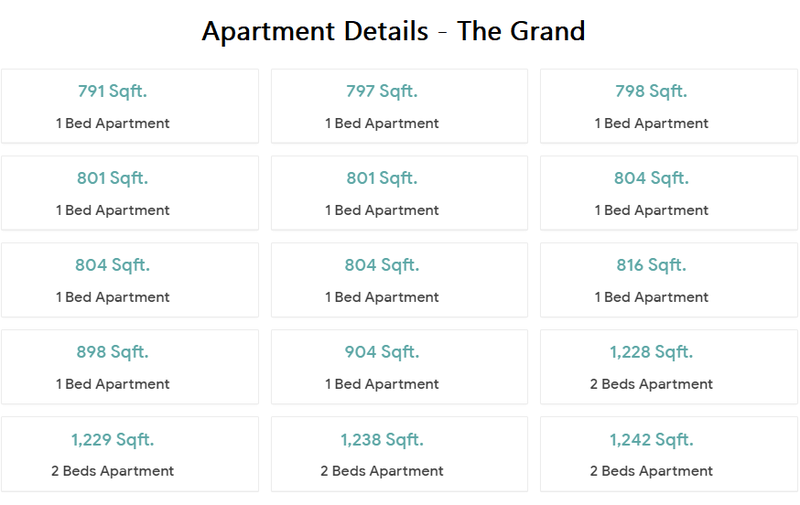 Residents of The Grand will have countless family-friendly amenities in the vicinity that will enhance their lives to previously unimaginable levels. 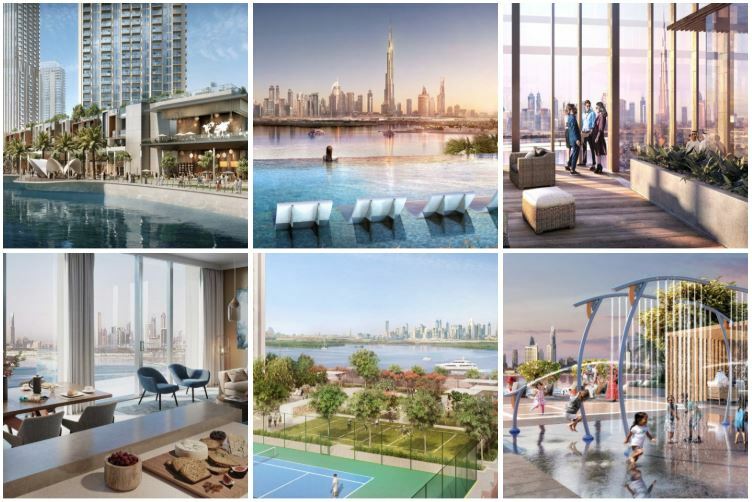 From living in the supremely natural surroundings of Dubai Creek, strolling through lush park lands and landscaped promenades, enjoying various leisure and entertainment venues, and taking in the cutting-edge cultural spaces, there will be something to delight everyone.